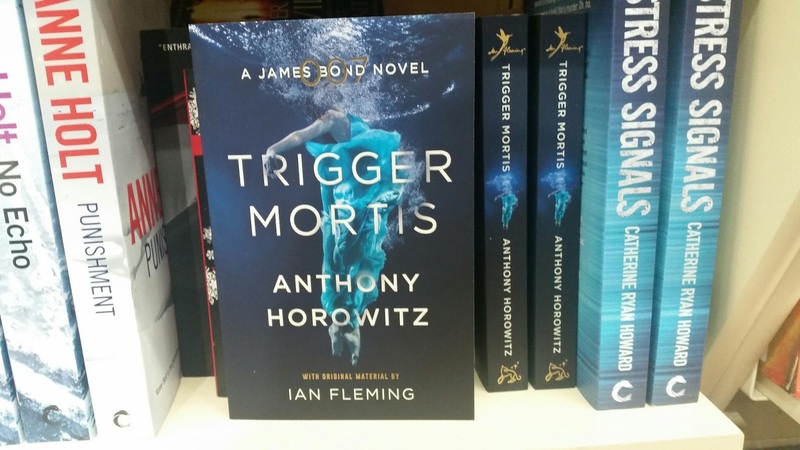 The latest edition of "Trigger Mortis" by Anthony Horowitz is now available on Australian book shelves. 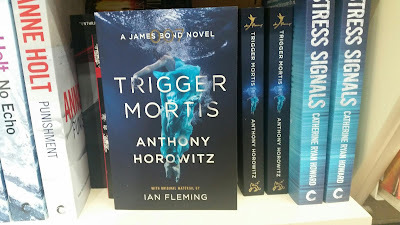 This paperback edition, published by Orion, has a great cover design by Keenan. 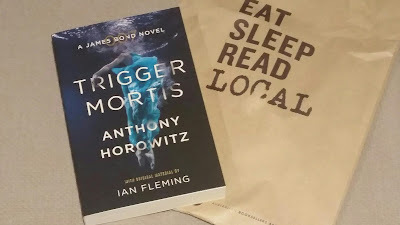 My wife and I visited several book stores today before finally purchasing this copy at Thesaurus Books in Brighton. 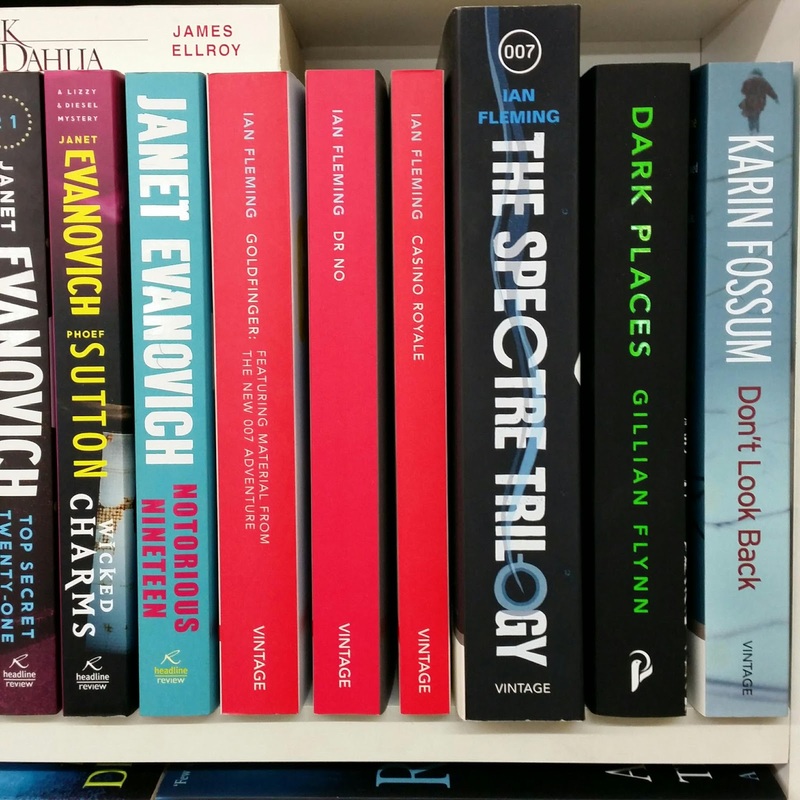 Considering there were no book purchases for PizGloria.com for the first five months of this year, July has proven to be a great month for new books to this website. 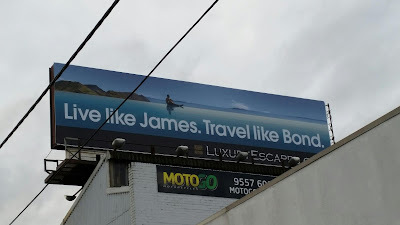 While driving home I noticed this billboard on Nepean Highway and quickly did a U-turn to take this photo. 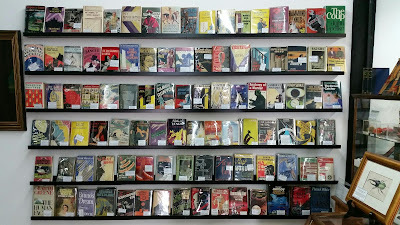 On another note, I visited Out Of Print Books etc. 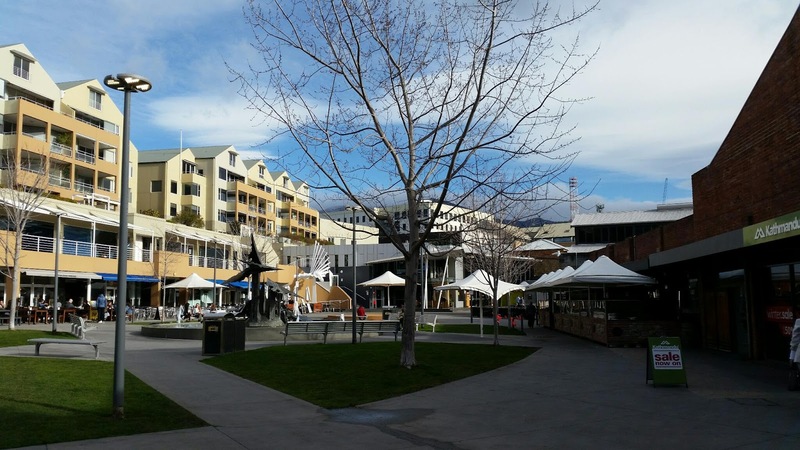 in Caulfield the other day. 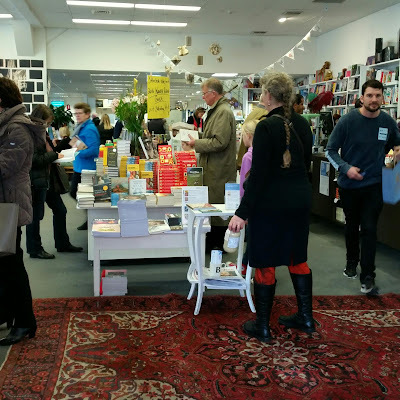 It was great to see several other customers in the store. 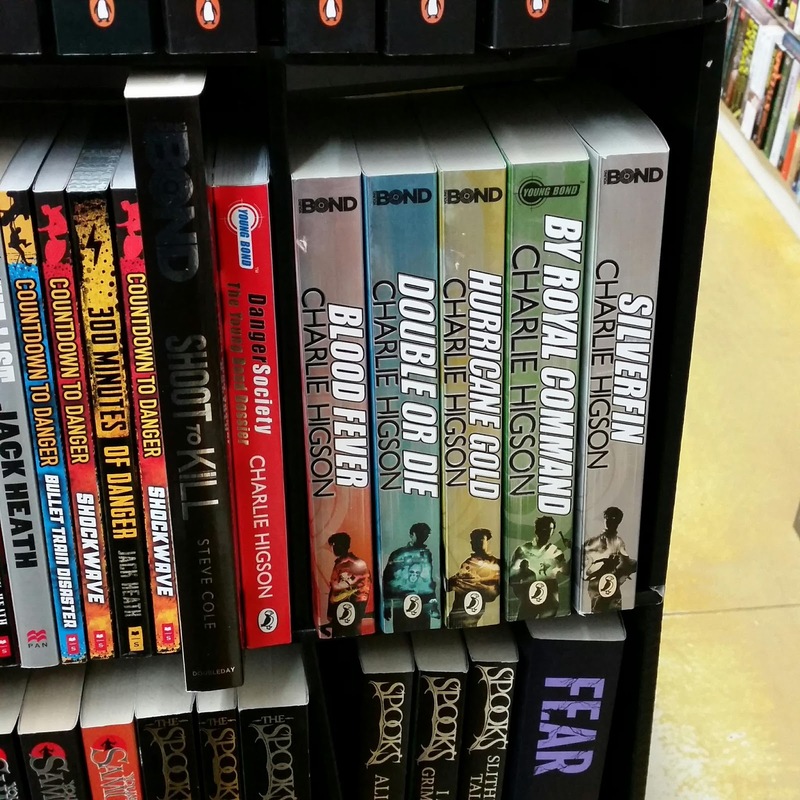 As usual they had at least 10 Bond paperbacks but none for me this time. 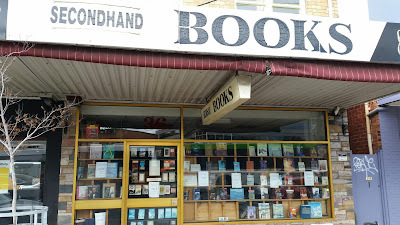 I also visited Cornerlamp Secondhand Books in Moorabbin. Unfortunately there are signs on the window explaining the lease is ending soon. 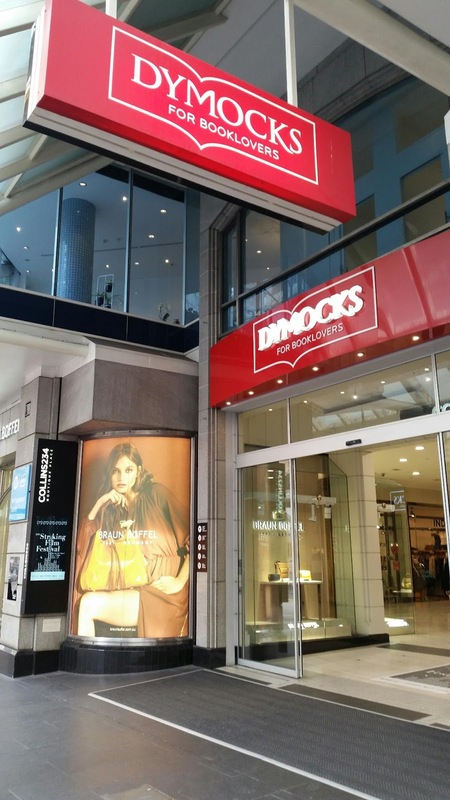 Hopefully that just means this store will be moving and not closing down. And just one last thing... while at Thesaurus Books today the girl behind the counter, Kate, recognised me and brought out a coffee book she thought I might be interested in; a copy of The James Bond Archives. 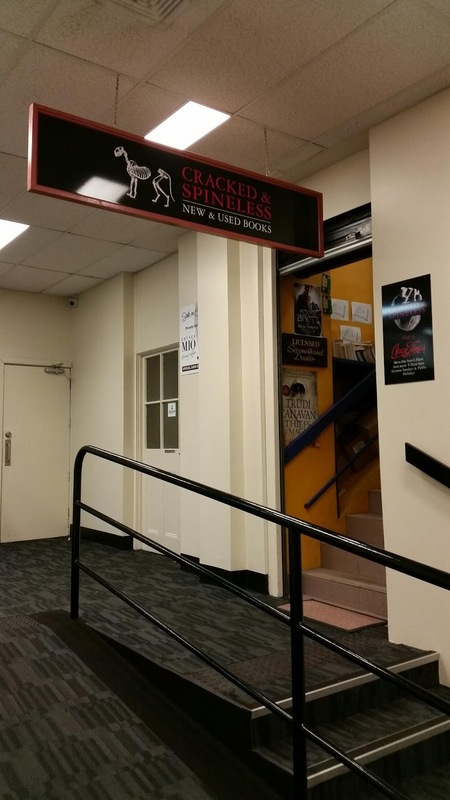 Obviously I've seen this on the web but not physically. 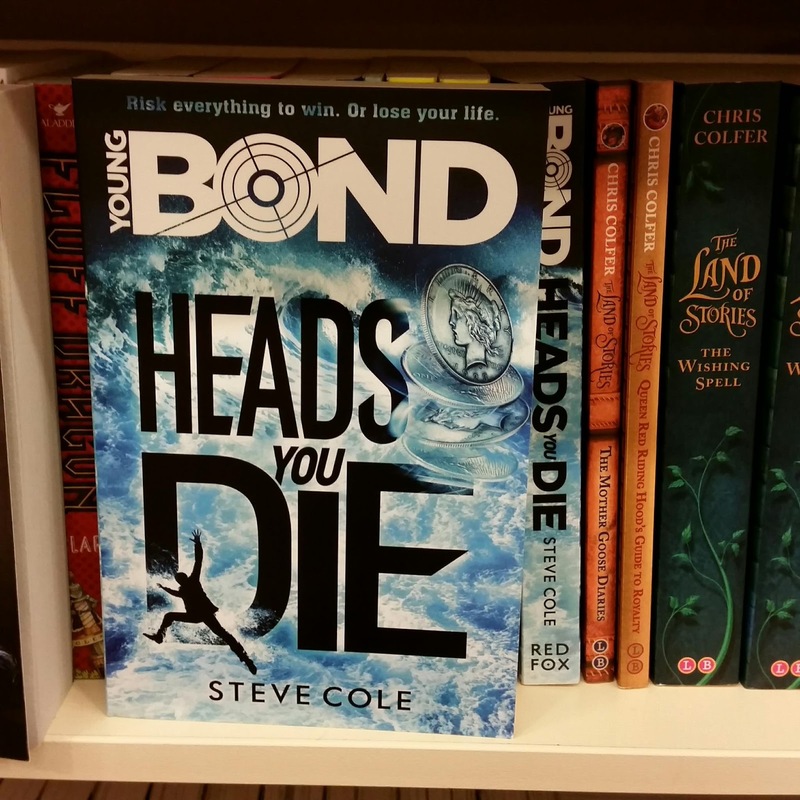 I had a quick flick through and it looks great so I may have to consider purchasing this in the future. Despite passing away in 1990, Roald Dahl currently seems more popular than ever. 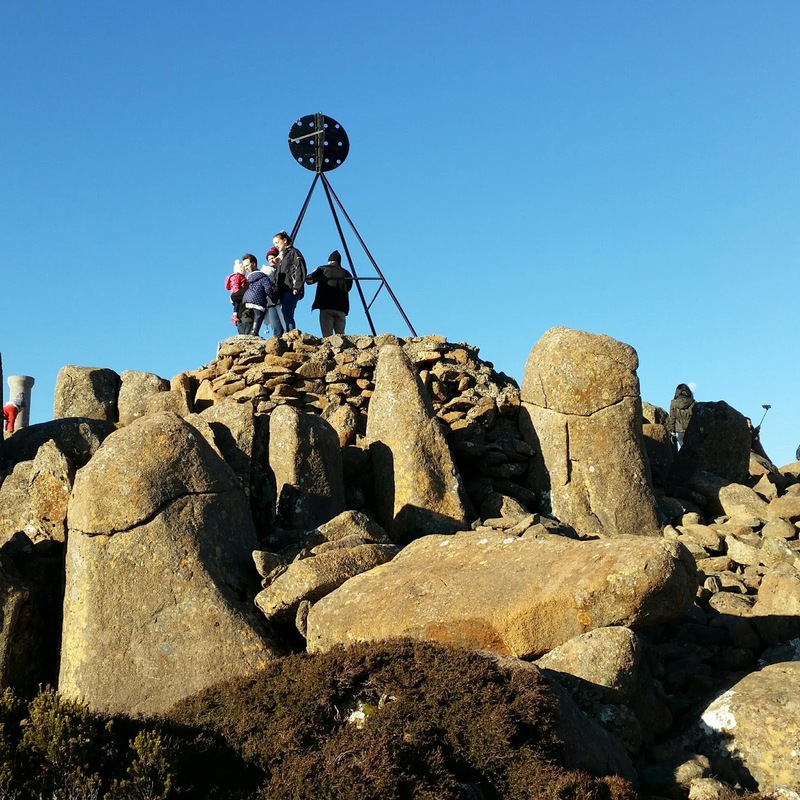 Steven Spielberg's "The BFG" based on the Dahl book has proven to be successful at the cinemas (unlike some other Dahl book adaptions to screen). 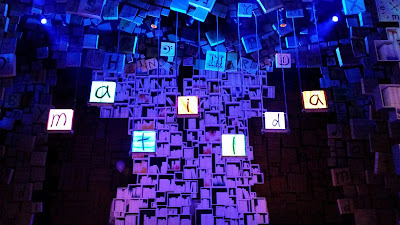 While at The Princess Theatre here in Melbourne the stage play "Matilda" has been continually performing to full houses. 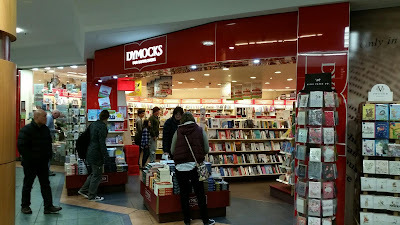 Just prior to "Matilda" my wife and I managed to visit the City Dymocks store. 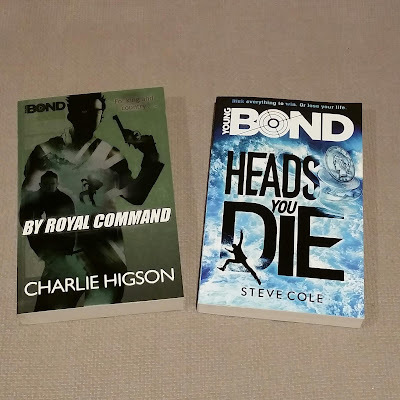 In doing so I was able to pick up a copy of Steve Cole's "Heads You Die" as well as finally purchasing a copy Charlie Higson's "By Royal Command" with the new Young Bond logo. 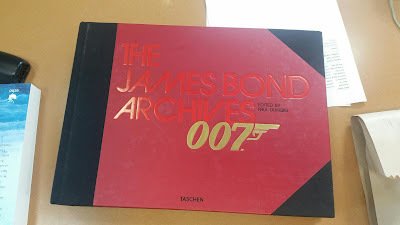 This latter book completes my set of this series of books. Just before I go, here's a snap I took of the stage this afternoon. 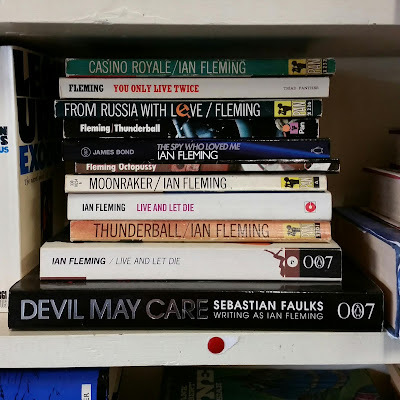 And for those younger readers unaware of why I'm mentioning Roald Dahl so prominantly on what is in essence a blog about the character James Bond, Dahl was involved in two screen adaptions of Ian Fleming books. 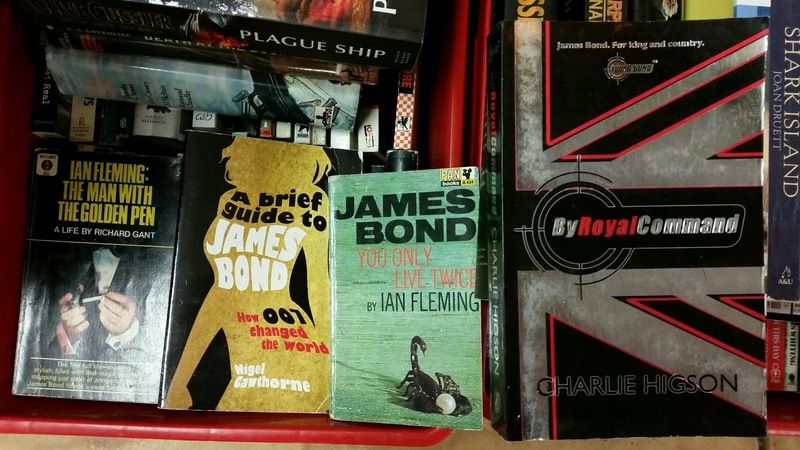 The first was the Bond film "You Only Live Twice" and the second was "Chitty Chitty Bang Bang". 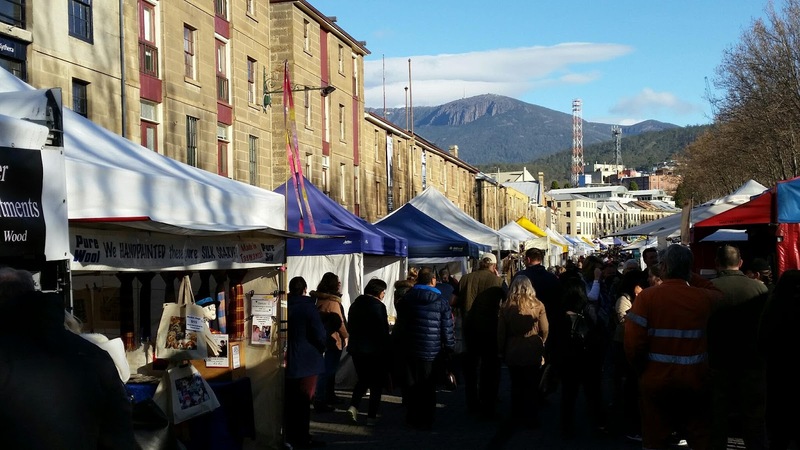 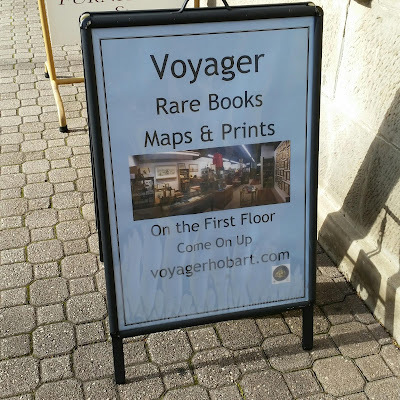 Following on from yesterday's blog entry, here's Part 2 of details of my recent book hunt in Hobart, Tasmania with my wife. Fullers Bookshop in Hobart is a brilliant independent store selling new books and always seems to be packed with customers. 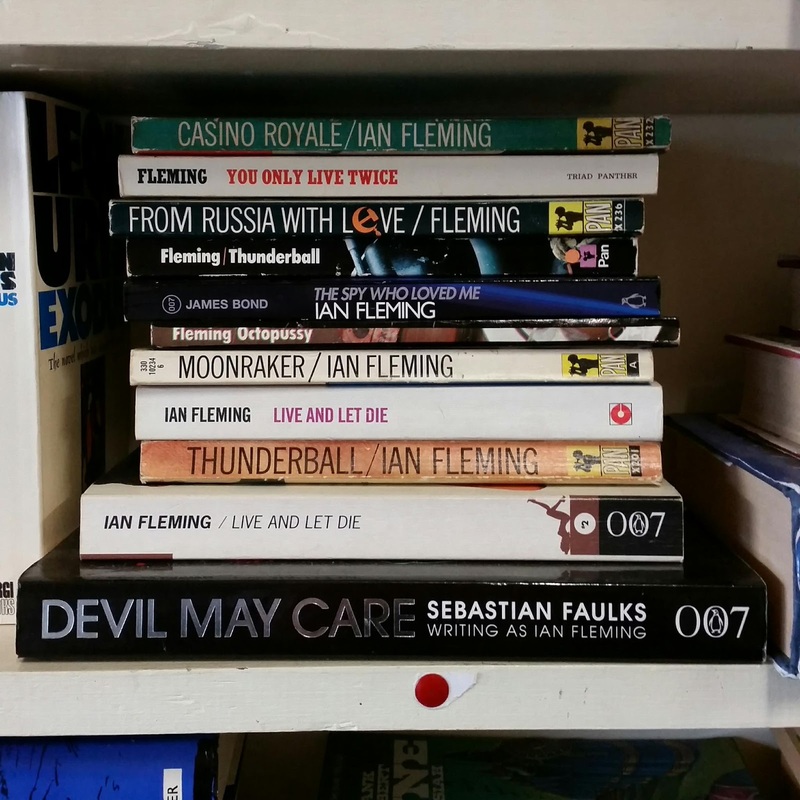 I had a quick look but couldn't find any Bond novels on this visit. 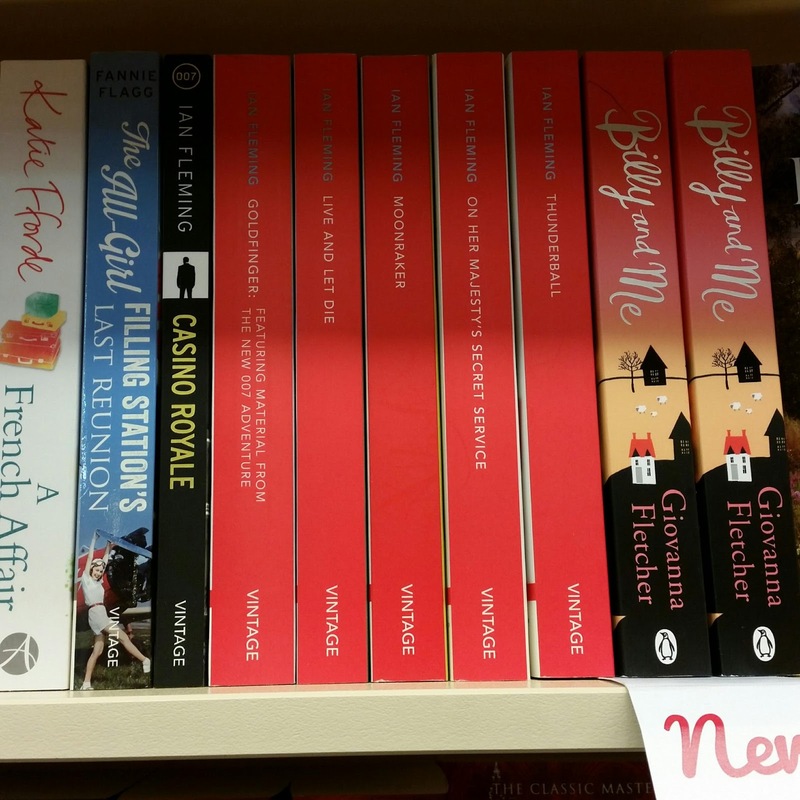 However that's not to say they didn't have any on their shelves, I was just eager to visit other book stores too. I then made my way to Dymocks. 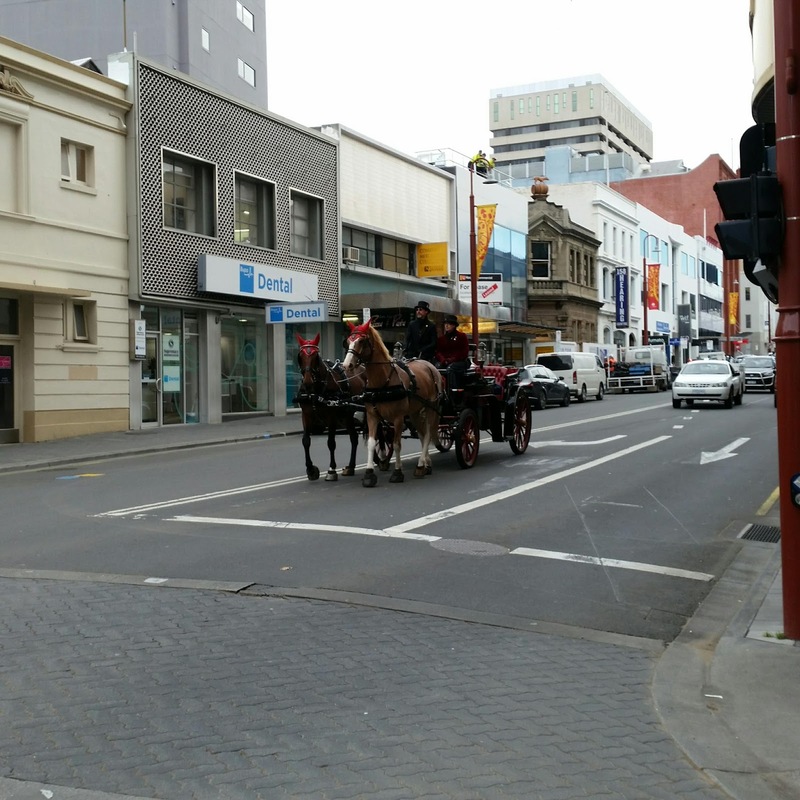 This horse drawn carriage shows tourists the sights of the City. Dymocks had several Bond paperbacks on their shelves, as well as a copy of the latest Young Bond book released by Steve Cole - "Heads You Die". 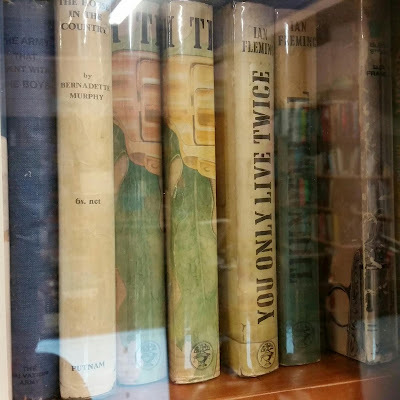 It was the first time I've physically seen this book. I didn't end up buying it though, preferring to purchase it after I returned to Melbourne as I feared it would get damaged in my hand luggage on the plane. 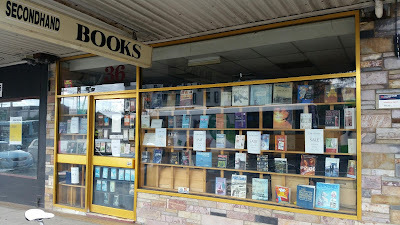 Next I returned to the hire car and drove to "Swan's Moonah Bookshop", in Moonah. 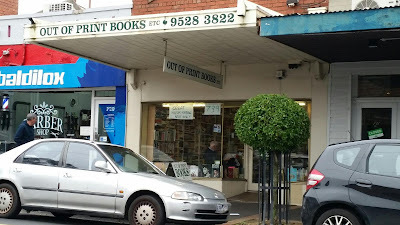 This store is linked to "Tolhurst's Down-Under Bookshop", and the owner, Gary, had called ahead to let them know I was coming to look at their Bond paperbacks. 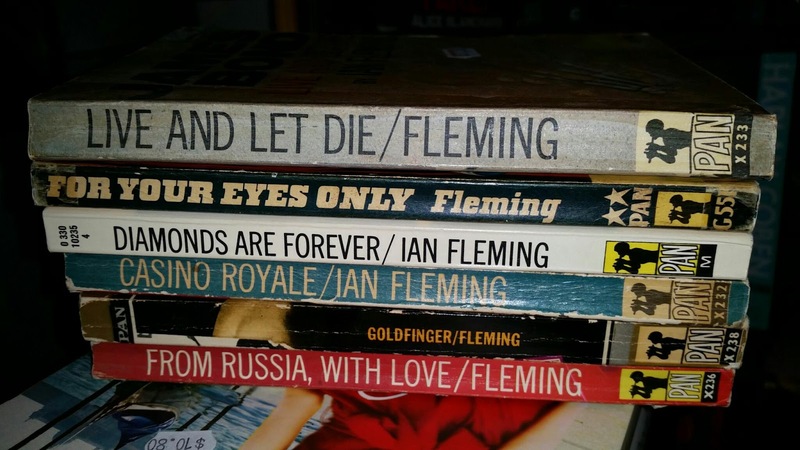 As you can see they had a few Bond paperbacks. 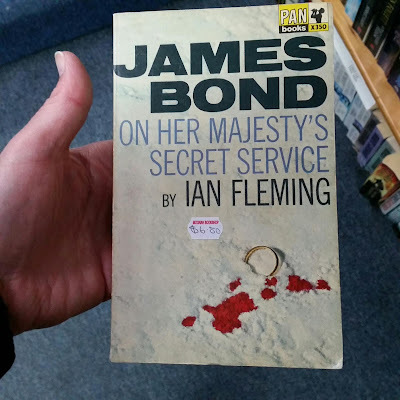 And then to my amazement I found a copy of "On Her Majesty's Secret Service" by Pan Books on the shelf with purple title text on the cover. I've been looking for a copy like this for years so I quickly purchased it. 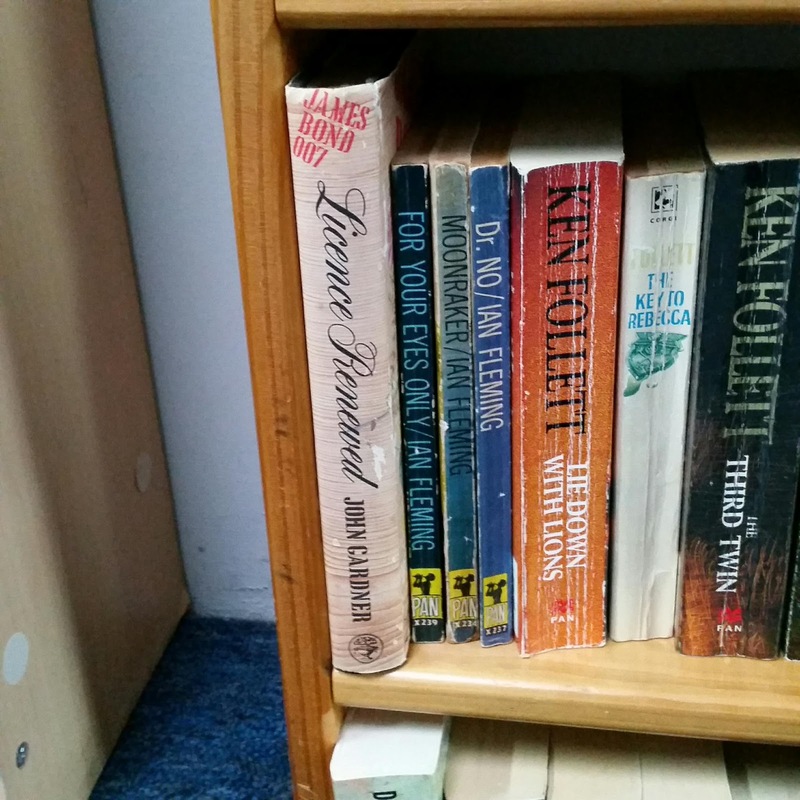 Normally the title text is green except for the first three printings. 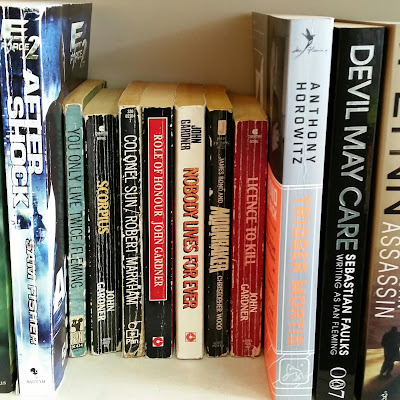 This edition is a third printing. 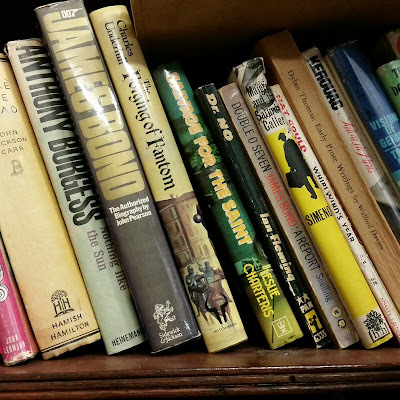 First printings often sell for $100's on the web (see the start price below of a current eBay auction). 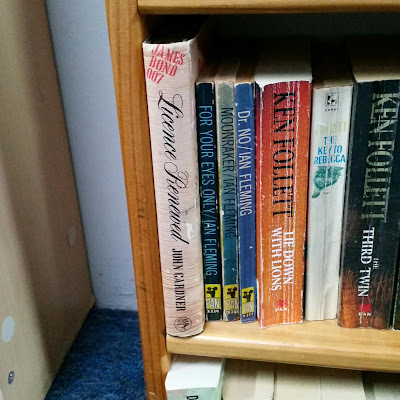 I'm still after that elusive first printing as occasionally the title text even appears to be blue in images on the web. I'm just not prepared to pay that much for it. 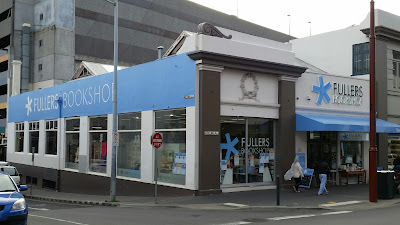 On leaving this store, and feeling very chuffed, I ventured over the road to a shop selling models. There I purchased this scale model reproduction of Tracy's Mustang from "OHMSS". I've seen it around but decided today was the day to finally buy it. 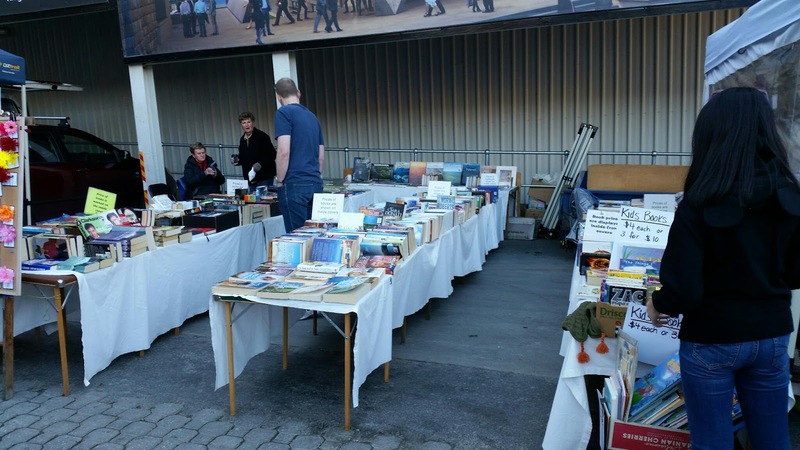 (I also managed to bargain the price down a little too.) 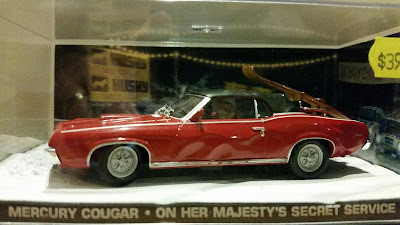 As many would know this car was available with the part-works series the "James Bond Car Collection". 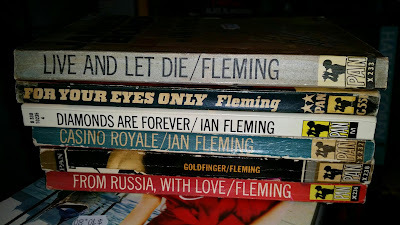 I now have three models in this series but am only concentrating on the "OHMSS" film. 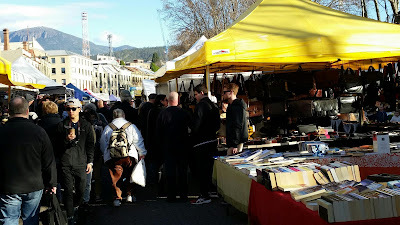 On Saturday morning my wife and I walked to Salamanca Market. As usual there were several book stalls selling second-hand books, and I managed to find the Bond novels shown. 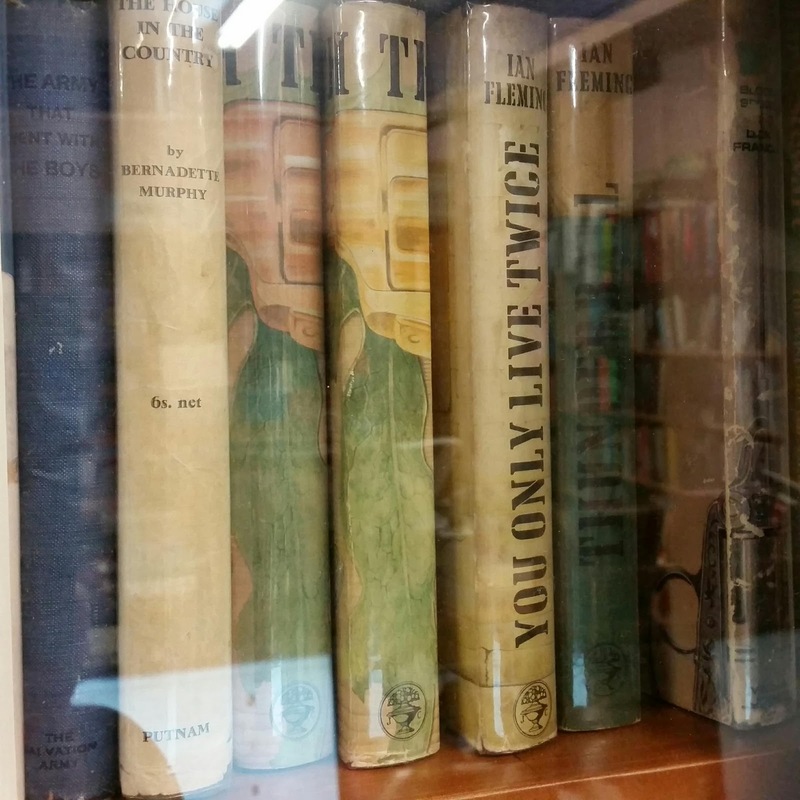 Unfortunately I already had them though. 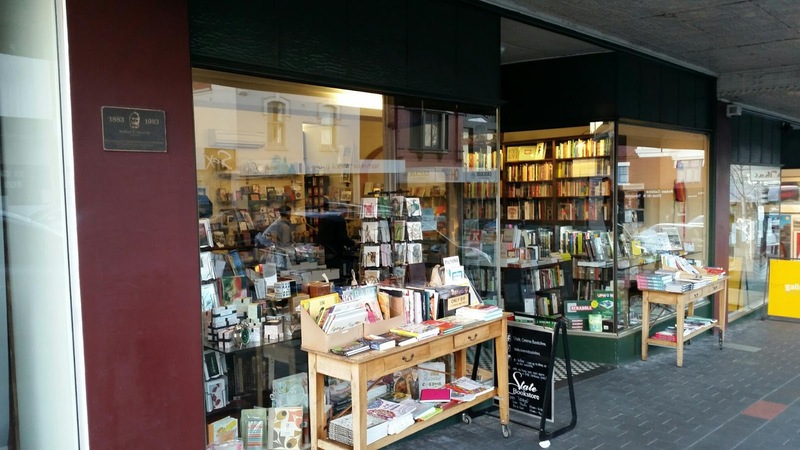 On Saturday night we went to the State Cinema to see "Hunt For The Wilderpeople" (it was actually good fun) and while there visited the adjoining "State Cinema Bookshop". 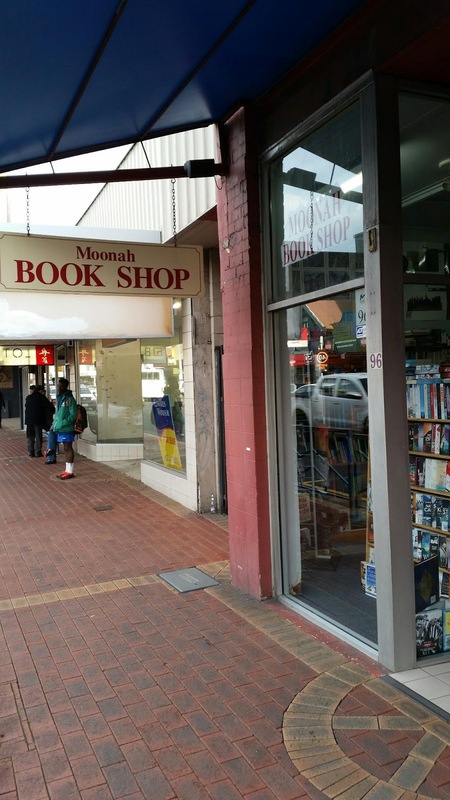 This was the last book store I visited while in Hobart. 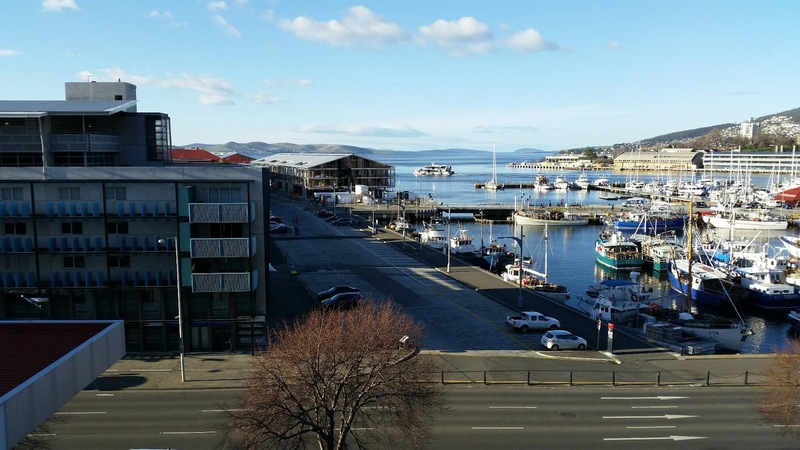 Here's the view of Constitution Dock from our hotel and some other photos while walking around it. 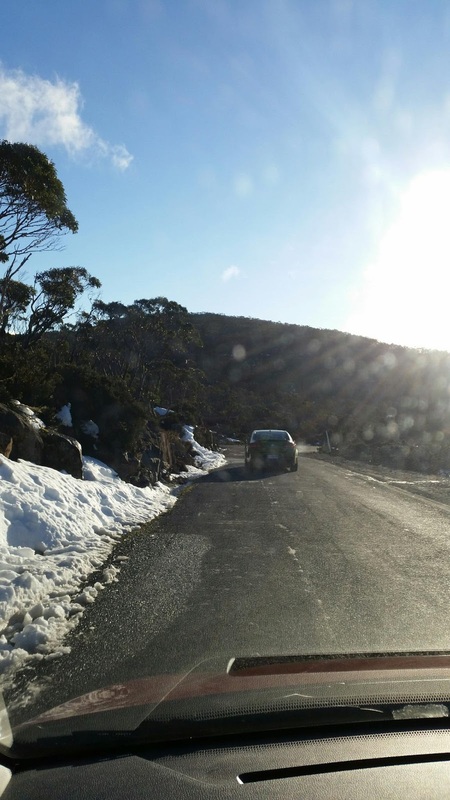 Despite it currently being Winter here in Oz the weather was like this every day we were there. Here's a typical view of the bush at the base of Mt. 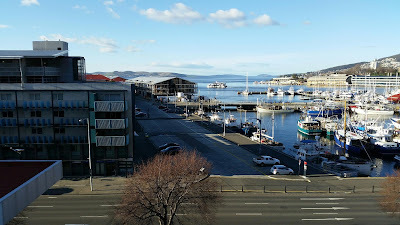 Wellington taken while my wife and I were on a short hike. A photos of the summit of Mt. 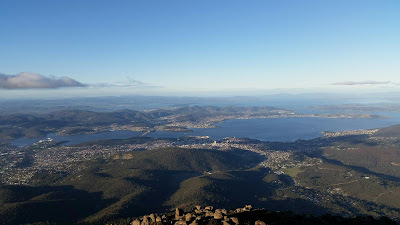 Wellington from where we had great views of Hobart. 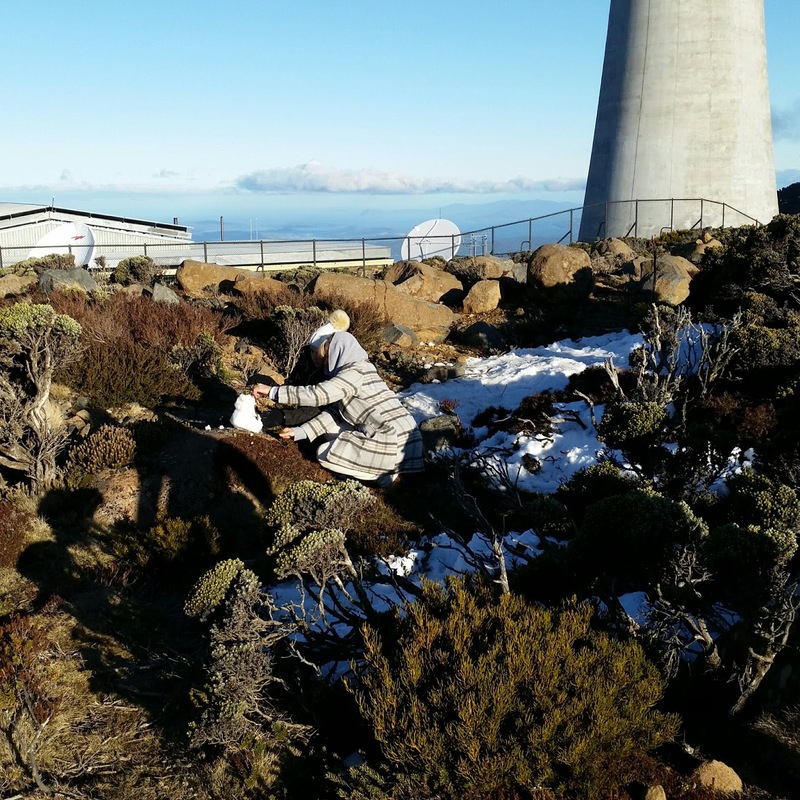 There was even enough snow at the summit for visitors to make snow men and have snow fights. 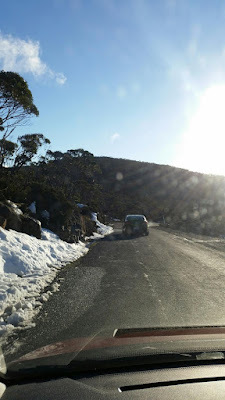 And more snow/ice by the side of the road as my wife and I drove back down the mountain. 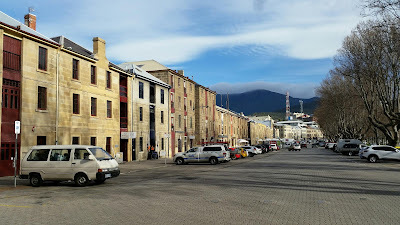 In summary, we had another great break in Hobart, and I was also fortunate to pick up an elusive Pan Book and a scale replica car. 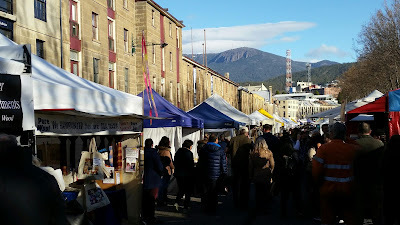 So if you're ever visiting Oz, as I always say, you have to visit Tassie. Last Thursday morning my wife flew to Hobart, Tasmania for her job. 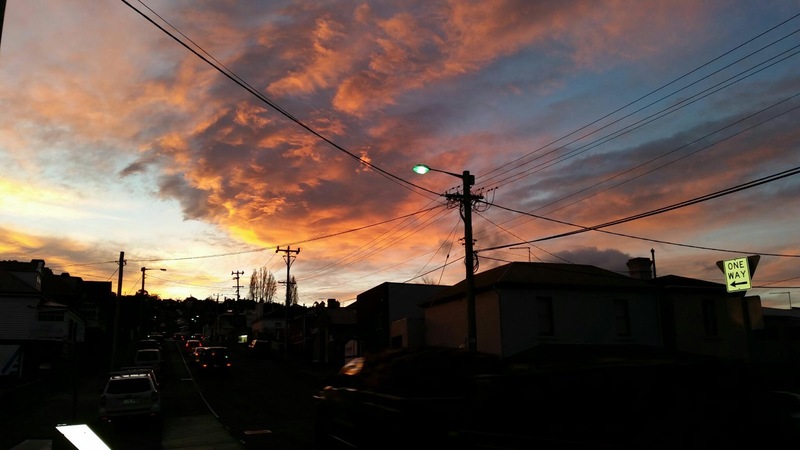 That night I joined her as I had an RDO (rostered day off) the following day. 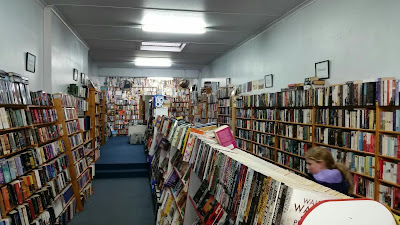 So while she spent Friday slaving away behind her desk, I spent the day visiting book stores. 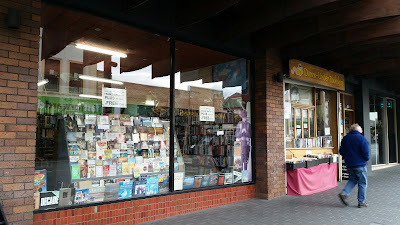 I love book hunting in Hobart. 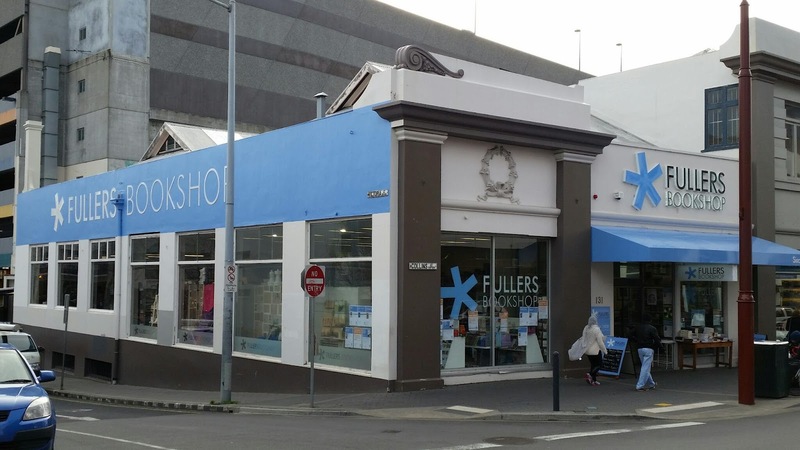 So many great stores and happy owners all very helpful and prepared for a quick chat. 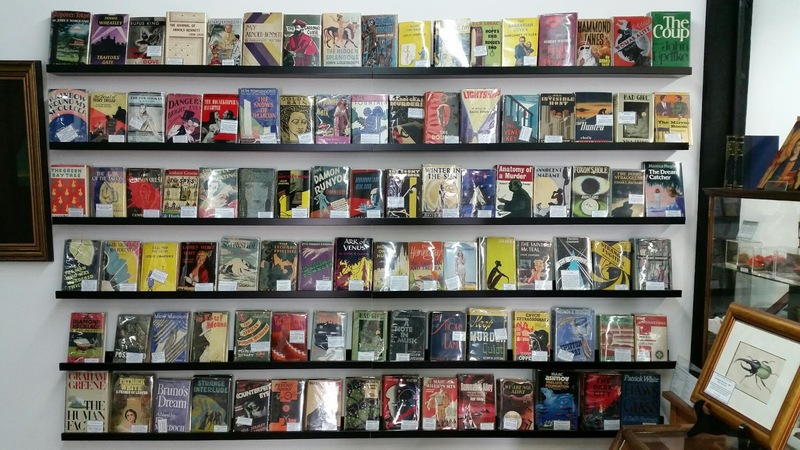 Plus I always seem to find some great books. First stop was "Rapid Eye Books" in Battery Point. I last visited this store at least a year ago. 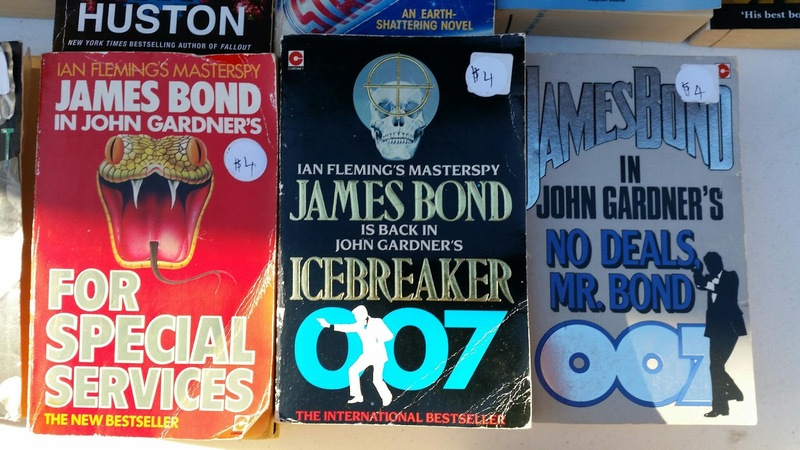 I remember they had a first edition of "Moonraker" for sale. And amazingly on my visit this time it was still available, along with a couple of other Jonathan Cape - Ian Fleming hardbacks and several paperbacks. I spoke to the owner, Mark, who remembered me from my last visit. 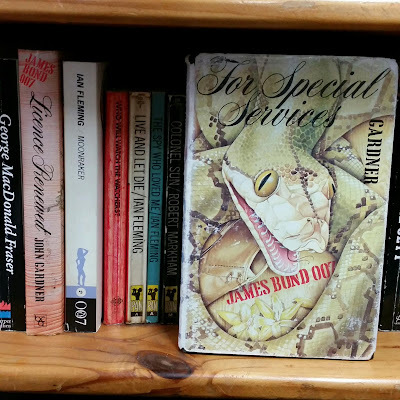 I told him I'd love to purchase this book but I just didn't have the spare cash. 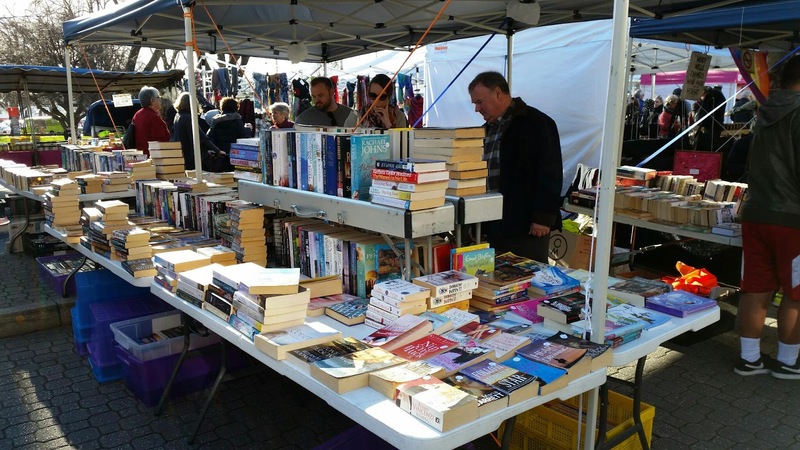 We agreed it would be a lucky buyer who eventually does buy this book (so if you the reader are that person please mention me and this blog when you purchase it). 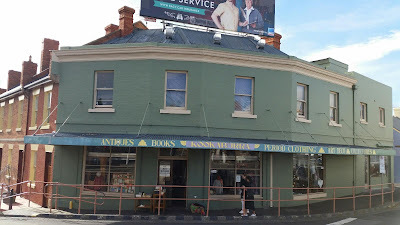 Next stop was "Kookaburra Antiques and Books" just around the corner. 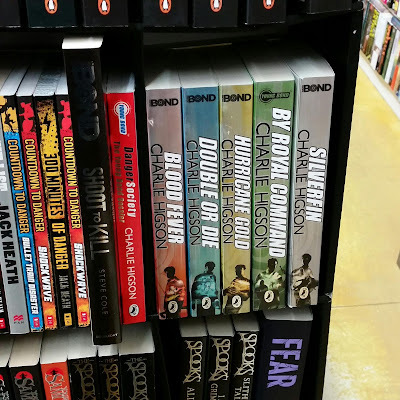 A couple of years ago they had a Jonathan Cape edition of "From Russia With Love" available for sale but it's since been sold. 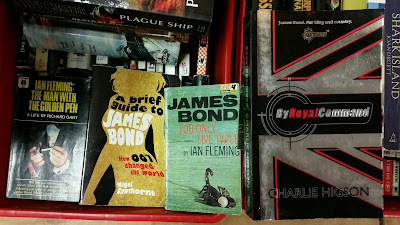 However they did have a couple of Bond paperbacks and the "James Bond - The Authorised Biography" by John Pearson on their shelves. 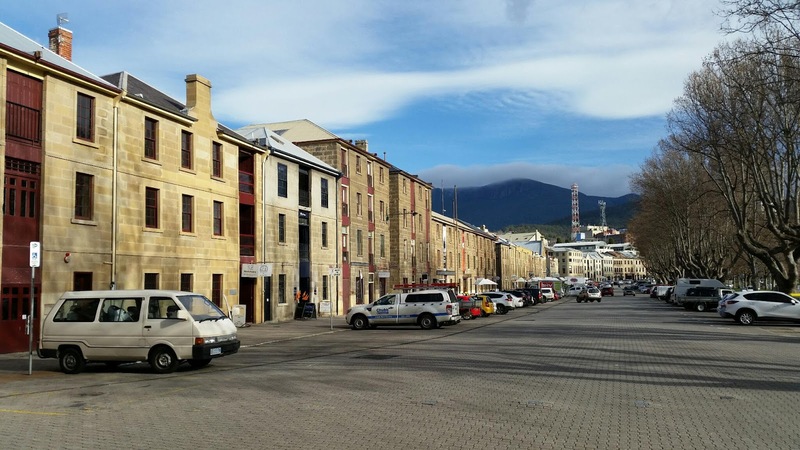 Just down the road (literally) is Salamanca. 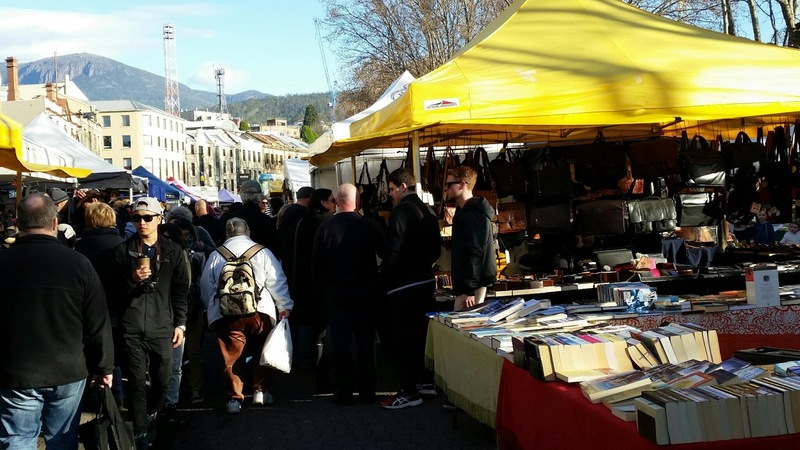 This is the site of the famous Saturday market, as well as several book stores. 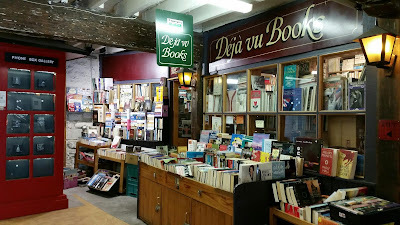 In Salamanca my first point of call was "Deja vu Books". I've purchased several paperbacks from this store in the past. It's a really nice little store with heaps of books. And the Bonds are always found in the plastic crates out the front. 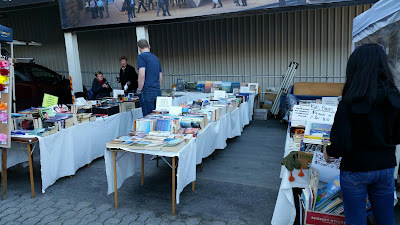 As you can see below they had a few paperbacks but none for me today. I always visit "Astrolabe Booksellers" in Salamanca. 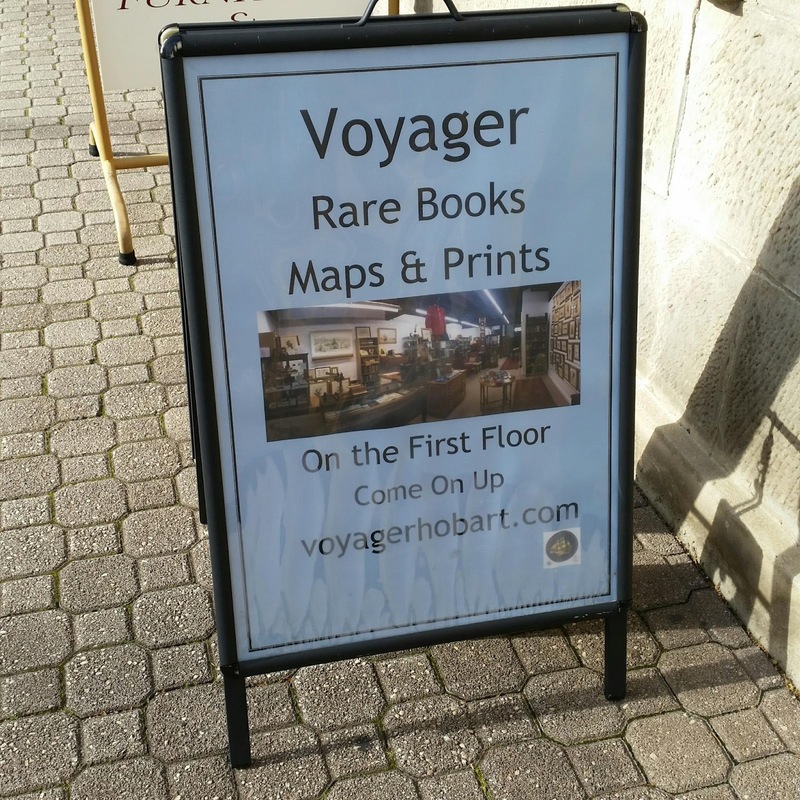 However on this visit I discovered that the second storey shop has relocated elsewhere, replaced by a store named "Voyager Rare Books, Maps and Prints". 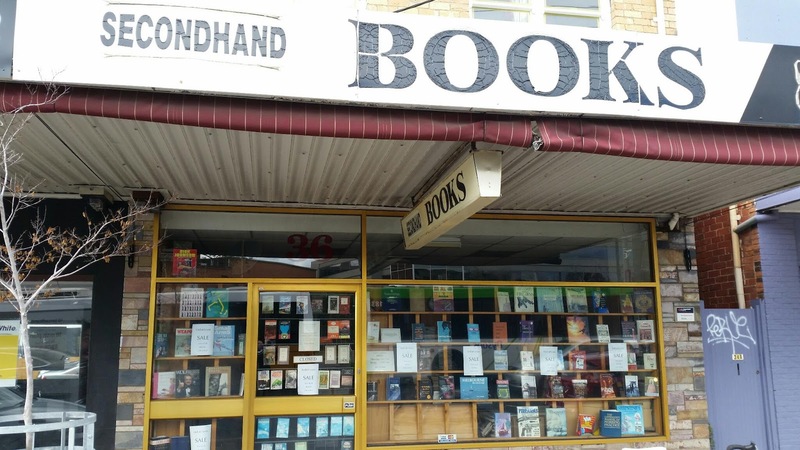 I spoke to the new owner Bill, who previously owned a second hand book store in Brisbane. 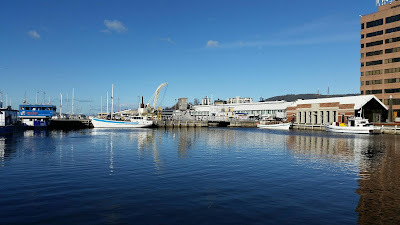 He explained that "Astrolabe" has moved closer to the docks and his store sells not only books but an eclectic mix of items including scientific instruments and old microscope slides. There was also a wall of book club edition hardbacks for sale which included a copy of Graham Greene's "The Spy's Bedside Book" featuring some excerpted paragraphs from three different Bond novels written by Ian Fleming. 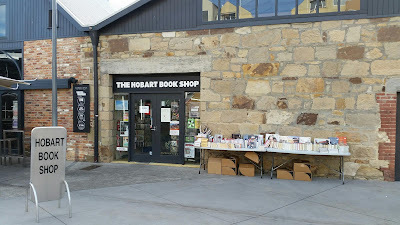 Just out the back of the historic row of buildings in Salamanca is located The Hobart Book Shop. This store sells both new and second hand books. 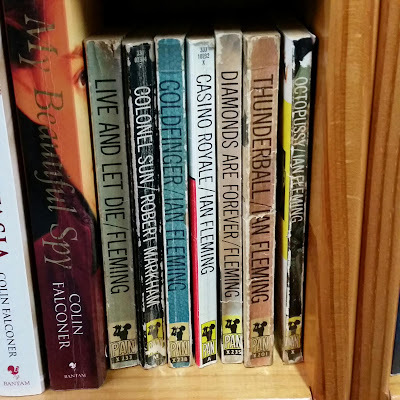 They had some new Fleming paperbacks as well as Young Bond novels be Steve Cole and Charlie Higson but unfortunately nothing for me today. 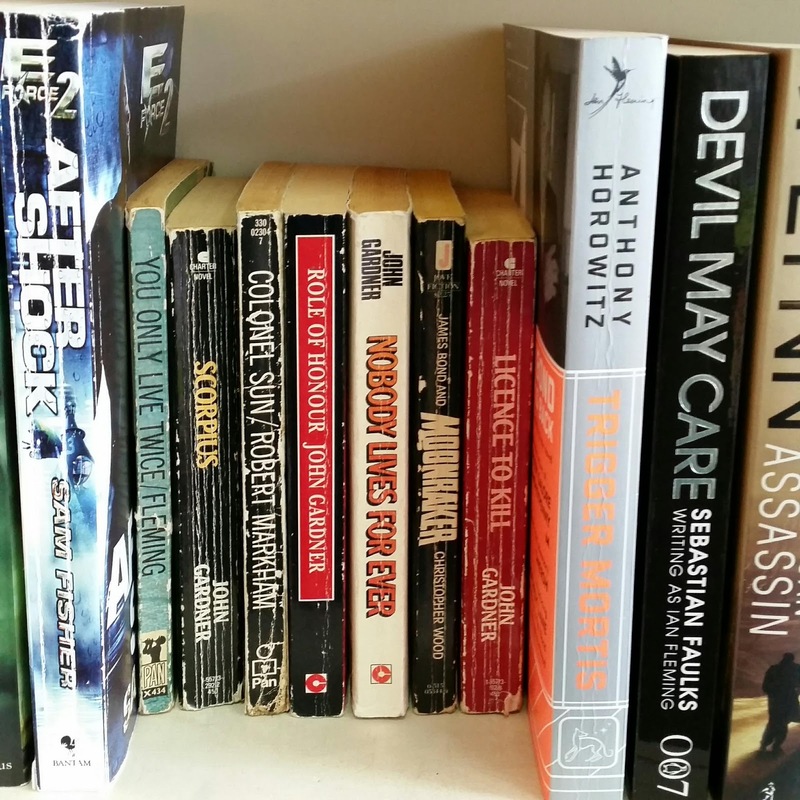 When visiting be sure to check out the white column inside that features autographs and comments from many different famous recent authors. 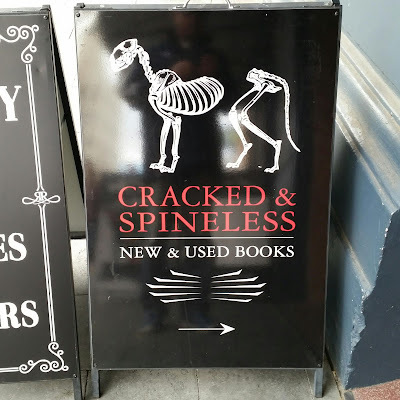 A ten minute walk from Salamanca, in the City proper, is "Cracked and Spineless". 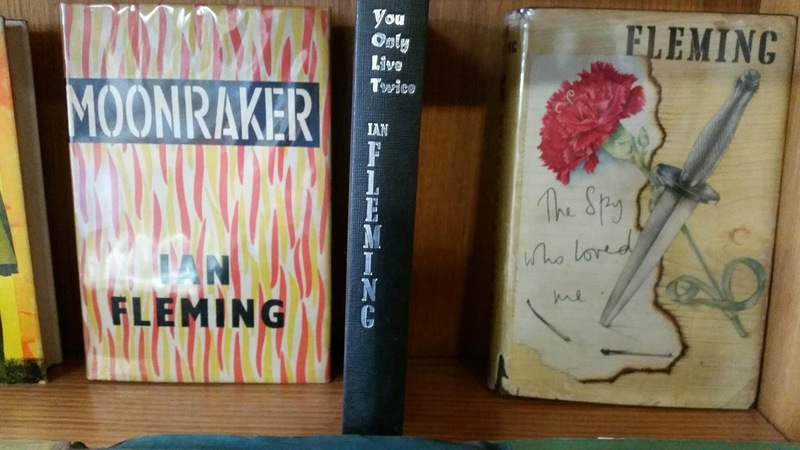 This store always has Jonathan Cape - Ian Fleming hard backs for sale. And this visit was no exception, although after much ummming and arrring I decided not to buy any today. 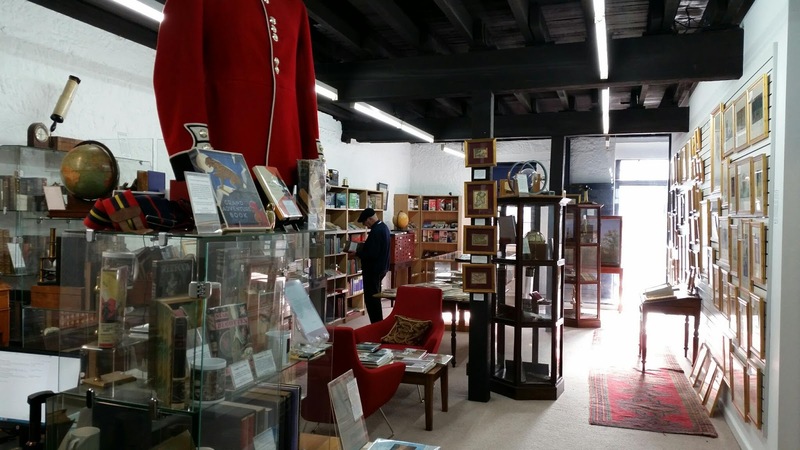 This book store has been in the news lately because a Napoleonic Wars diary from around 1812 was discovered in their store. 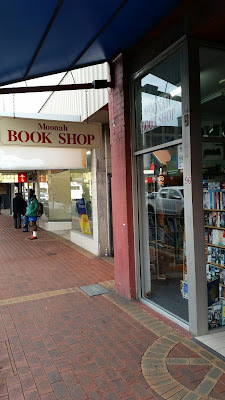 After a short walk through the Elizabeth Mall I made my way to "Tolhurst's Down-Under Books". 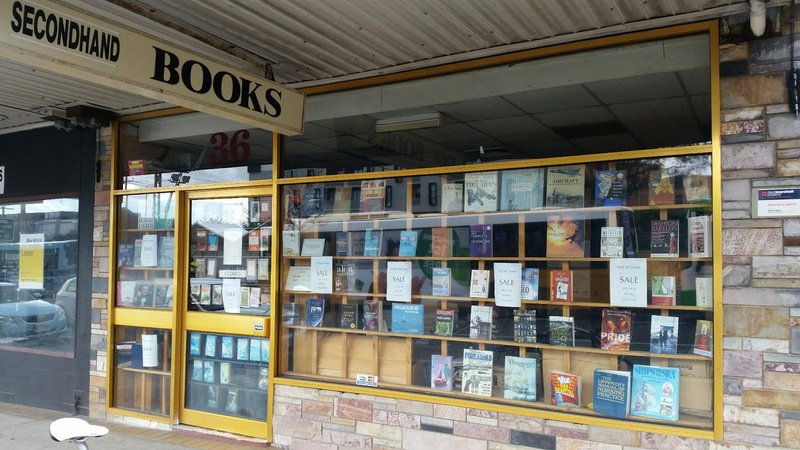 Every time I enter this book exchange the owner Gary is always behind the counter and greets me with "G'day cobber. 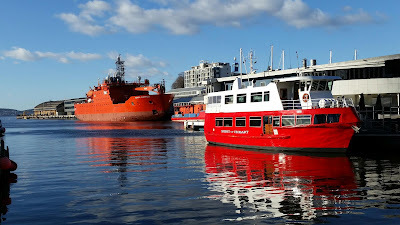 Let me know if I can help you". I've purchased a couple of books from here in the past, and today he had few Bond hardbacks and paperbacks on the shelf, but none for me. He did ring another linked book exchange in Moonah where they had at least 10 Bond paperbacks available, but that's a story for Part 2 of my Hobart book hunt. A short drive over the Tasman Bridge just outside Hobart is Lindisfarne. 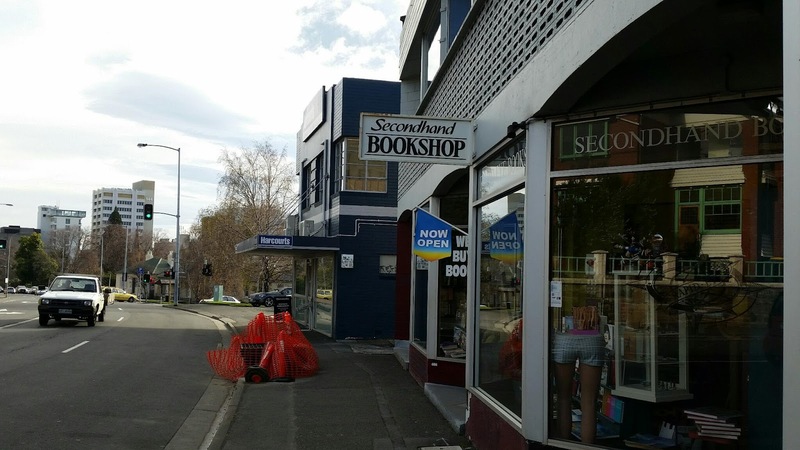 This is the location of "Pat's Secondhand Bookshop", the last book store I'll mention in today's blog entry. 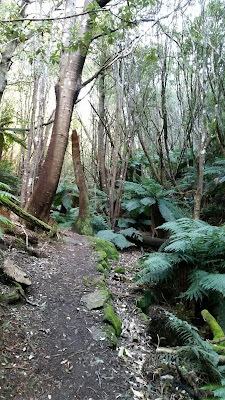 Unfortunately my phone battery died at this point and while I do have a photo from a previous visit after searching for more than an hour I still can't find it. (Very frustrating !) Anyway, they had a book club edition of "Diamonds Are Forever" as well as some Triad-Panther paperbacks. Finally, here's a photo of the sunset in Hobart taken while sitting in a hire car waiting for my wife to finish work for the day.